The Desktop Fractal Design Handbook is a four-chapter introductory text to fractal geometry. The underlying algorithms are derived from mathematics, which is reflected in the images they produce. Chapter 1 provides an overview of the products of the desktop fractal design system. Chapter 2 describes the installation and operation of hardware and operating system of the design system, along with its maintenance. 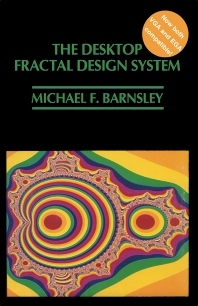 Chapter 3 outlines the use of the desktop fractal design system, specifically on hot to design fractals on the fractal design screen, maps, paintings, and help screens. Chapter 4 focuses on the many practical applications of fractals. This book will be of value to mathematicians, engineers, graphic artists, teachers, and students.